Here we are one more week to show new applications. This time we show you SANDBOX, an app for all the audiences. Who has never not colored numbers in infancy to form a drawing? this application has many drawings with varied difficulties, from simple sketches up to authentic pieces of art. It is very useful for training selective attention and concentration; in addition, it helps us to relax in these moments in which we want to disconnect or to calm down our children. The app suggested this week is called COLOR SWITCH, a very attractive and enterteining app, destined for children from 6 years to adults. The mechanism of the game is simple: you will have to make balls of different colors cross different obstacles. color of balls change, so you will have to take care and focus because ball only will be able to pass when his color machtes with osbtacle color. It is very useful to work with children with ADHD diagnosis since it is based on impulse control, concentration, and attention. 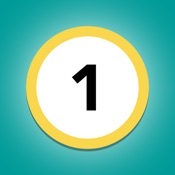 Neuroapp found out this app we show you last week: “Count Battle”. According to title, we can deduce that is an app to play in pairs, but also offers the possibility to play one player to improve skills this app trains in an implicit way. The game consists of touching the numers in rising orden before the opposite. The enterteining thing is that, depending on the way of game or the difficulty that you choose, numbers will change position quickly. For all what you know “Trail Making” test, we might say that it is the part A of this test, an easy exercise. You must know the sequence of numbers, nothing more. The skills that improve through this app are diverse: rapidity, selective attention, concentration and coordination. We encourage you to download it, and look for a person to play! In addition, it is totally free. The app we show you this week is for children with ADHD. This simple and ingenious app allows children to stay calm and sit in his place because the app only works when the child tap touchscreen with at least one finger of each hand. The application is a simple video which only starts when child tap the screen. In the moment in which the fingers get up, the app stops working and thus child stops viewing the video, until he returns to the correct position. Also it is useful for children with autism because we can teach these skills and even avoiding the flutters. Therapist or adult who is with them, will have to give a verbal instruction such as ” Quite hands “, in order that the child may associate these words with the positive stimulus of viewing the video. It is available for Ipad. It is an application for all the ages, but it will be more useful for smaller children, from 3 years. For more information, here is the website: www.maizapps.com. “Be focused” is an application that we recommend you to foster sustained attention (maintenance of attention in long lasting tasks) and time management (organization). We recommend it for adults who want to better manage their time (workers, opponents, students etc.) and even for children (over 12 years old) with difficulties of attention and / or time management. 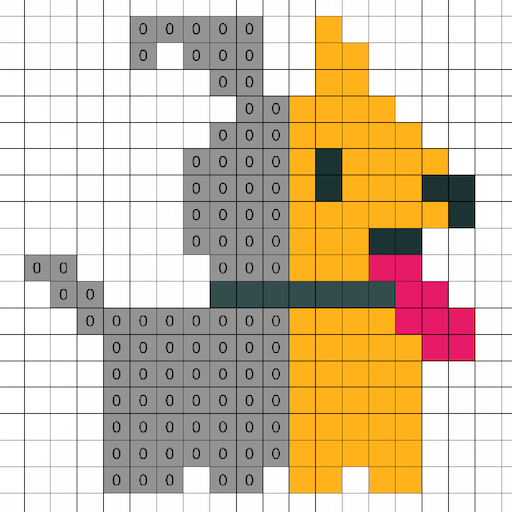 The mechanic of the game is to press the screen in the presence of a specific stimulus, for example: “click when you see a barking dog”. Depending on the block in which user are (vigilance vs. inhibition) he must press the screen seldom_ discriminated between possible distractors and thus maintaining state of alert_ what is known as “vigilance or attention”; Or, on the contrary, we must press many times_ to hold back an automatic response_ what is known as “inhibition or self-control”. It has 60 games distributed in 2 different blocks (vigilance and inhibition) and 2 different levels. Additionally, it is developed to train working memory (in some exercises the user must press the presence of a sequence, for example: “press if you see a 3 after a 6” thus updating the information in its operating memory), and processing speed as well as visual and auditory discrimination given the presence of both types of stimulus, which may appear as a target or as a distractor. Nexxo has been thought to improve attentional and behavioral processes as well as training with people with attention difficulties (Attention Deficit Disorder and / or Hyperactivity), difficulties in self-control and regulation of behavior, or cognitive impairment (aging and / or dementias). Nexxo allows to evaluate the type of errors committed: commission errors (the user hit the screen when he should not), and, omission errors (the user did not press when he should).